Deirdre Catlett is a wife and homeschooling mom, and a Noonday Ambassador. She is a firm believer that every voice matters and works tirelessly to make sure each one of those voices is heard. Today she highlights the voices of a group we don’t talk a lot about here at Noonday, but that plays a vital role in the work we do: the men of Noonday Collection. Read on to see how men are joining the Noonday story and helping build a world where all voices matter! Within the Noonday Collection family of stakeholders, you will find many skilled Artisans from around the world, a support staff second to none, and a dedicated and fun-loving female Ambassador community. Noonday has built a vibrant, empowered community of women who have stepped into their stories and owned their worth. It’s a place where girl power still thrives, no matter how far behind us the 90s may be. It’s a place where women can come together to make a difference. But though we are a community that celebrates women, that’s not all we are. Within our ranks you will also find a special group of men who understand our mission and work tirelessly to both support our Artisan Partners around the world and our Ambassadors here at home. We refer to them, fondly, as our NoonDudes. 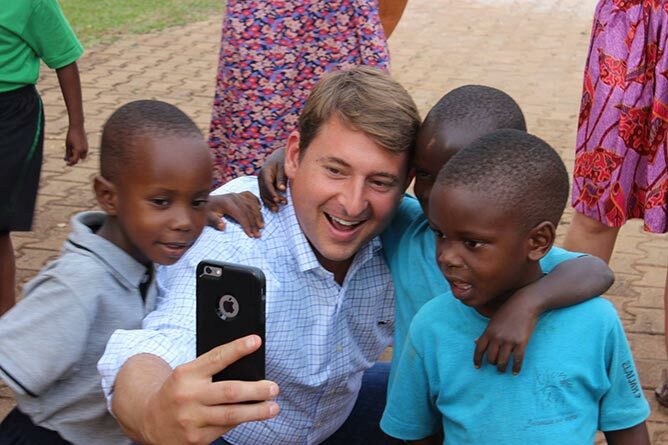 Co-CEO Travis connecting with the next generation of Artisans in Uganda. Members of our NoonDude community can be found all throughout the business, beginning with Co-CEO Travis Wilson. 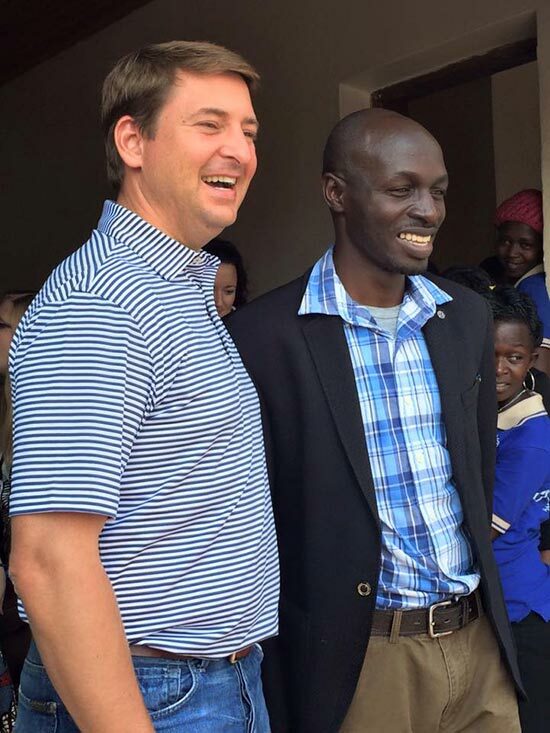 I had the pleasure of traveling with Travis this summer on our Ambassador Trip to Uganda. He exemplified the heart and soul of Noonday Collection, taking every opportunity to encourage our Artisan Partners and emphasizing the importance of sharing their stories with our Hostesses and customers. While giving us a tour of the Artisan workshop we were visiting, he confessed, “Noonday Collection exists today not because of me and Jessica, but because there are stories to tell, Ambassadors willing to tell them, and customers willing to make a difference in the world.” This type of humility exemplifies our NoonDudes. 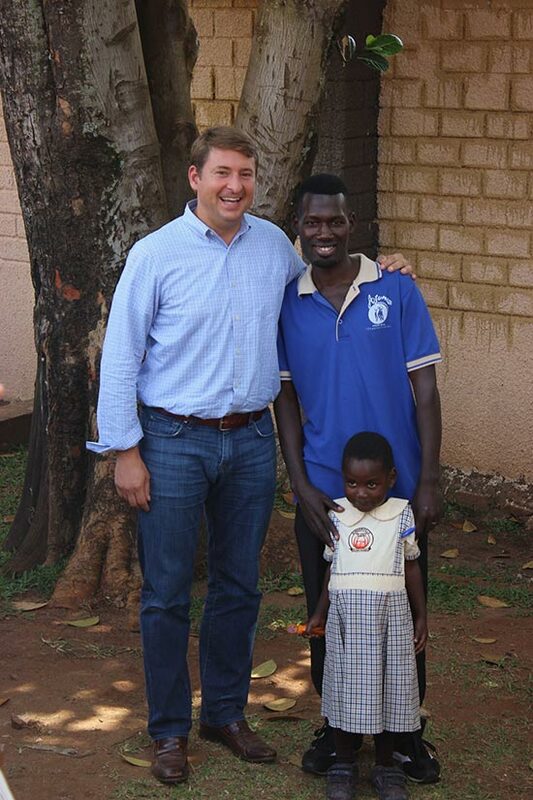 Travis with Artisan Bukenya and his sweet daughter. Noonday sponsors many of our Ugandan Partners’ children so they can attend school. While in Uganda, I met another incredible NoonDude: Daniel Matovu. Daniel and Jalia, our Artisan Partners in Uganda, have grown their business from nine employees to almost 90 over the past six years (not to mention the more than 200 people in the community who roll paper beads on a part-time basis). Daniel’s dedication to the Artisans has led to profound transformation in their community. We heard countless testimonies from the men and women whose lives look drastically different today because of Daniel’s selfless leadership. His unwavering dedication also epitomizes our NoonDudes. Yet, I daresay it’s our largest NoonDude contingency, the family members of our beloved Ambassadors, who are the heart and soul of this growing community. Personally, I couldn’t imagine life as a Noonday Collection Ambassador without the help and support of all the men in my life. From my husband, who carries my heavy totes full of jewelry in and out of the car (and has even filled in as a last minute babysitter at a Trunk Show), to my sons, who have become incredibly proficient label-makers. These NoonDudes are consummate cheerleaders. My job as an Ambassador means nights away from home and missed games on occasions, but these guys remind me of the Artisans, the mission, and my place and purpose in the Noonday family. NoonDudes willingly make sacrifices for things that profoundly impact the lives of others. Do you know of someone who would make a great NoonDude? We’re looking for some amazing guys who would consider supporting men and women around the world who want a better life for themselves and their children! It so simple: opening up your home or reserving a room at the office, and inviting your friends and co-workers for a meaningful alternative to traditional holiday shopping! 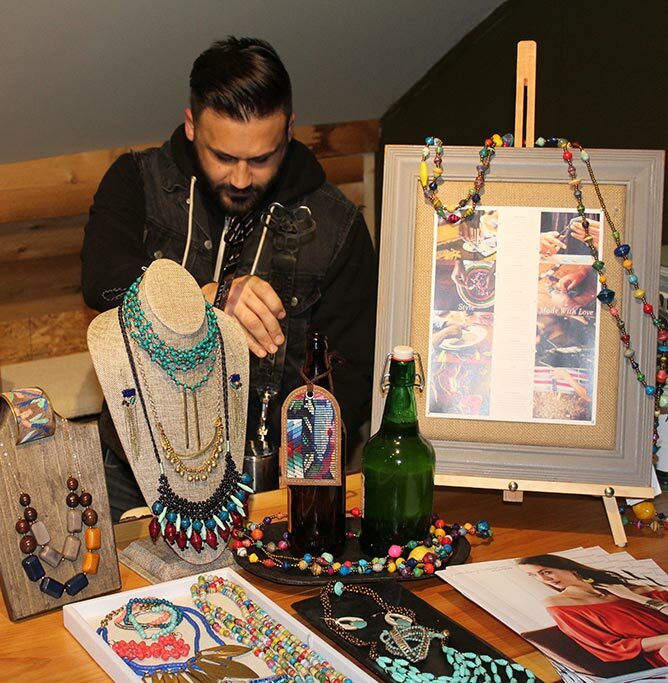 Our Ambassadors can even help brainstorm fun themes for the event—like a “Brew and Beads” featuring handmade jewelry and an assortment of beers! As we enter into the gift-buying season, you can make a profound impact in the lives of Artisans—and with all the host rewards you’ll earn, holiday shopping for the women in your life becomes a whole lot easier! By hosting a Noonday Trunk Show, you become part of a family that fights for those living in the most vulnerable communities around the world, creating dignified jobs for those who need them. You also open the circle a little wider, sharing with others the impact of their purchasing power. 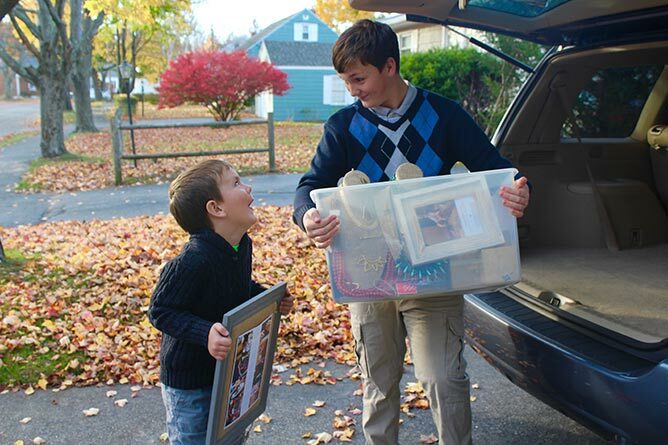 How great would it be to have our NoonDude community grow exponentially this holiday season! At Noonday, we love that we are a safe and empowering place for women to own their unique stories. But we want the men in our communities to come along with us! So men, this is my invitation to you: There is a place for you here. And when you join us in creating a marketplace for people in vulnerable communities, we really can change the world. We are better together. Deirdre Catlett is a wife and homeschooling mom. When not balancing the responsibilities of educating her children and being a Noonday Collection Ambassador, she is pursuing her Masters at Dallas Theological Seminary and mentoring young women. She is a firm believer that every voice matters and works tirelessly to make sure each one of those voices is heard. She and her husband live in Portland, Maine with their four kids.